The two initiatives focused on promoting verified sustainable tropical timber in Europe and highlighting the role a strong timber market plays in strengthening sustainable forest management, are aligning communications and exploring further cooperation. The Sustainable Tropical Timber Coalition and the Fair & Precious branding campaign of the International Tropical Timber Technical Association (ATIBT) have identified a range of areas for working together. The aim of Fair & Precious (F&P, www.fair-and-precious.org) is to promote the environmental, economic and social benefits of supplying, specifying and using timber from sustainably managed tropical forests certified under FSC or PEFC schemes. Launched by the ATIBT in 2017, the campaign is co-funded by the French Development Agency and Central African Forests Commission (COMIFAC). At the heart of the initiative is the F&P brand. This is designed for use by campaign member companies along the tropical timber supply chain in their own marketing, branding and communications. To qualify, they must adopt a set of ten commitments on a range of environmental performance areas, prove they maintain highest ethical standards and undergo regular audit. He said the aims of F&P and STTC ‘are deeply complementary’. Initially the two operations will exchange information and look to align and coordinate websites. There will be shared content, but with the STTC taking a business-centric approach, with more specialist material, the F&P site targeting a broader audience, including the public, although with the back-up of STTC science-based technical information. They will also co-produce a newsletter with joint messaging underlining their collaboration. “We will additionally develop and distribute a marketing toolkit to certified operators and our official F&P partners to help communicate their activities,” said Mr Jobbé-Duval. Currently the F&P brand is only for use by ATIBT members, but longer term, said Mr Jobbé-Duval, it may be made more generally available as part of a strategy for the campaign to become self supporting. The STTC-backed study of sustainable tropical timber flows into the EU, the follow-on from its 2018 report, ‘How Sustainable are Europe’s Tropical Timber Imports?’, has started its data-analysis process. First presented at the STTC’s Conference last October, the EU Sustainable Tropical Timber Data Partner project involves a consortium of bodies experienced in monitoring the sector. It promises new insights into the trade with a goal of greater transparency and more accurate data to aid EU sustainable tropical timber market analysis and also better targeting of development initiatives. The undertaking is led by the Global Timber Forum (GTF), the international network of associations and timber sector stakeholders, with Netherlands-based forest and timber sustainability advisors and analysts Probos as lead technical partner. It also has the support of the FLEGT Independent Market Monitor project (IMM). Since its launch last year, the project’s partners have obtained the latest COMEXT trade data for the year 2018 and “cleaned” it to ensure that it is as accurate as possible as a starting point for further analysis. To enhance the process the team have collected data through international databases for tropical countries producing timber and assessed the forest area under each forest management function, for example if they are production or conservation areas. It has also collated data for the FSC and PEFC certified natural forest area in tropical countries, plus their FSC Controlled Wood areas and are working on their production volumes. Analysis of these factors will allow a refinement of the estimates of certified wood for the final report. Further outreach will continue in the next quarter, with the report due to be published in June. EU proposals for new measures to combat tropical deforestation, and particularly to control forest conversion to agriculture have been backed by the timber sector, NGOs and other stakeholders. Some actually urge it to go further than the steps put forward. An EU roadmap, ‘Deforestation and forest degradation – stepping up EU action’, was put out for feedback at the start of the year. The goal, it stated, was to develop ‘an integrated EU approach to combat deforestation, protect forests and promote sustainable supply chains’. Possible EU actions include building partnerships with producer countries to support uptake of sustainable agriculture and forestry and reduce pressure on forests. Another goal is to back creation of sustainable and transparent supply chains for sustainably produced commodities. New partnerships with other major consumer countries are proposed, plus steps to better implement and communicate existing EU actions on deforestation. John Hontelez for the Forest Stewardship Council urged two actions from the EU. The first was to put pressure on EU importing companies to work with credible certification schemes that incorporate robust environmental and social requirements and have effective verification tools. “This pressure can start with public procurement requirements,” he said. The FSC also recommended fiscal incentives for adoption of certification, including via harvesting, concession or export fees, or VAT. In response to the wider consultation from January through February on EU proposals, the WWF said current EU anti-deforestation policies were inadequate and among other tropical forest products it cited wooden goods as a key risk commodity where action was needed to curb forest degradation impacts. It also stressed that any EU action plan should be underpinned with legislation. That included in terms of ensuring transparency to identify investment linked to deforestation. “There should be action in the EU as well as producer countries to address drivers of deforestation and conversion which should combine voluntary with binding measures,” said the WWF. The Environmental Investigation Agency also welcomed the roadmap and consultation, but expressed concern at its statement that any initiative would be “non-legislative”. Fellow NGO Fern picked up the same theme. The UK Timber Trade Federation backed the EU proposals and the fact that it concentrated on agricultural commodities, notably palm oil and soya the ‘real forest risk commodities’. But it felt it could do more. The European woodworking industries Confederation CEI-Bois also backed the EU’s focus on non-forest products. Following its consultation, the EU said it would issue a communication on its deforestation proposals in the second quarter of 2019. The Sustainable Tropical Timber Coalition’s goal is to see an increase in the share of European tropical timber sales taken by verified sustainable material from today’s about 30% to 50% in 2020. This in turn, will be a significant driver for further spread of sustainable forest management in tropical supplier countries. But vital to achieving this objective, says the STTC, is to improve accuracy, accessibility and analysis of trade statistics, hence the title of its annual conference in October – held, appropriately, in the Tropical Gardens in Paris – ‘Using data to drive market share’. To date the STTC has primarily focused, with private and public sector partners, on market education and promotion initiatives, encouraging uptake of lesser-known tropical species and supporting sustainable procurement policy implementation. 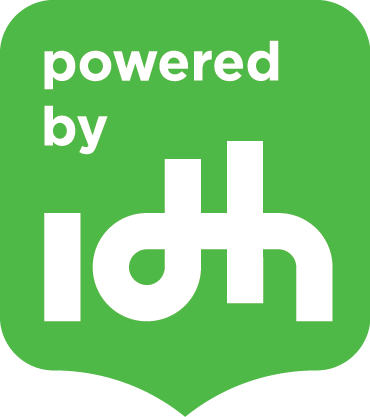 Now, with founder IDH, The Sustainable Trade Initiative, it has made the strategic move to focus increasingly on gathering and interpreting trade data; to get a better handle on verified sustainable tropical timber volumes entering European supply chains, its origins and destinations. The objective is to inform further market development activity and ensure it is precisely targeted. Until now, the Coalition acknowledges, the European verified sustainable tropical timber market has lacked a coherent source of definitive trade figures. Some national data monitoring has proved successful, but the pan-European picture has been less clear. However, the Conference also highlighted that this is changing. Alongside the STTC’s efforts, other initiatives, some with its support, have emerged to track the wider European tropical timber market. Speakers also highlighted growing cooperation in the field between different players sharing the same objective of understanding sector trends and market development potential. These included the Global Timber Forum, the ITTO and the EU FLEGT Independent Market Monitor project. Other presentations were delivered by a wide range of voices, including FSC, PEFC, IDH, Probos, the UK Timber Trade Federation, the ATIBT, the French Development Agency, Le Commerce du Bois, SNCF and the Alliance for the Preservation of Forests. New approaches, delegates heard, were also being evolved to improve tropical timber trade monitoring, including the ‘exposure to certification’ method. And there was also a call for ‘new metrics’ for sustainability, to complement current certification schemes. In addition the Conference featured presentations on complementary STTC-backed projects to grow European awareness of sustainable tropical timber availability and exploit its market potential. These included the ATIBT’s My Tropical Timber Website, the FSC’s new ‘Together we are FSC’ campaign, PEFC International’s programme for growing certified timber trade flows from Asia to Europe and Le Commerce du Bois’s range of verified sustainable tropical timber marketing initiatives. Highly animated Table Talks also enabled delegates to debate the issues, focus in on specific topics and give feedback. The Conference themes were clearly ones that struck a chord. The event attracted over 90 delegates from across the EU and tropical supplier countries. They included the range of timber businesses and representatives of industry federation representatives from across Europe and supplier countries, NGOs and certification schemes. STTC Conferences are gaining a particular reputation for their level of delegate participation. And led with zest by enthusiastic professional moderator Peter Woodward – now an STTC Conference regular – this year’s event also sparked lively audience discussion and debate. The Conference closed with a presentation of the STTC’s 2018-2020 roadmap from IDH Tropical Timber Programme Manager Nienke Stam. She said that further data research to steer tropical timber market development would be a core element of the STTC’s focus going forward. And among new data-based reports would be a 2018 follow-up to its 2016 publication ‘How Sustainable are Europe’s Tropical Timber Products? ‘. The original report highlighted the bottom line of growing the market for verified sustainable tropical timber. It concluded that if Europe’s seven leading timber-consuming countries sourced exclusively verified sustainable primary tropical timber products, 5.3 million ha more tropical forest would be brought under sustainable management to supply the demand. The new STTC-backed study of sustainable tropical timber flows into the EU involves a consortium of lead bodies experienced in monitoring the sector and, using new methodologies, promises key new insights into the trade. The goal is greater transparency and more accurate data to aid EU sustainable tropical timber market analysis and better targeting of development initiatives. The EU Sustainable Tropical Timber Data Partner project is led by the Global Timber Forum (GTF), the international network of associations and timber sector stakeholders, with Netherlands-based forest and timber sustainability advisors and analysts Probos as lead technical partner. The consortium also includes the ITTO-managed, EU-funded Independent Market Monitor project (IMM), which monitors trade flows and market impacts of FLEGT licensed timber and products from FLEGT VPA engaged countries. It will additionally draw on data from the online Sustainable Timber Information Exchange (STIX), which is being developed by the GTF and analyst Forest Industries Intelligence to improve accuracy of global timber trade flow statistics in support of market monitoring and policy implementation. The project breaks new ground in using a measure of ‘exposure to certification ‘market monitoring methodology which has been developed by IMM. Still being fine-tuned, this takes the proportion of certified forest in a supplier country, based on figures from FSC and PEFC, and calculations of productive forest from the UNFAO, and applies that percentage to its exports to specific national markets. “This method has its limits, but we believe can be refined by, for instance, using timber produced by the supplier country, rather than forest area, and targeted trade and other stakeholder interviews,” said Mr White. He added that there were clear indications the FSC and PEFC would collaborate with the process, with a further outcome being an improved measure of ‘exposure to certification’ monitoring model that STTC founder and funder IDH, The Sustainable Trade Initiative, could use on an on-going basis. The project also plans to estimate a ‘carbon footprint number’ for EU sustainable tropical timber trade, blending trade data from Comext and life cycle analysis information from the GABI database. The work is due to for completion in June 2019. Digital promotion and marketing toolkits and architectural and vocational school student outreach are just latest developments in the comprehensive programme of verified sustainable tropical timber market education and promotion Le Commerce du Bois (LCB) has undertaken with support and input from the STTC. The French timber trade federation’s goal, Communication Manager Jessica Tholon told the STTC Conference in Paris, is to highlight the benefits of sourcing and using verified sustainable tropical material across the timber supply chain in the widest sense. LCB distributed the digital toolkits on usb sticks through a series of regional meetings in 2017 organised for the range of industry stakeholders. Here delegates were also given information on tropical timber buyers among its membership, its due diligence accreditation system and environmental charter. “We also highlighted our dedicated self-funded website, Le Bon Choix du Bois Tropical (Tropical timber – the good choice), which covers tropical timber applications, technical performance and lists 60 suppliers across France,” said Ms Tholon. Specifiers have also been targeted at the meetings around France, with additional contributions from WWF and the ATIBT about the importance of sustainable forest management in tropical timber countries and the end product’s potential applications. Audiences also heard from five leading LCB members on their sourcing and active promotion of sustainable tropical timber; Rougier, Tradelink, CID Bois, Pasquet menuiseries and Bois des 3 Ports. As part of the LCB programme, these companies also undertook to work towards specific goals through 2016/17 for increasing the percentage of their tropical timber sales accounted for by certified material. “The companies set ambitious targets, but one increased the proportion over the period from 2% to 10%, and others from 51% to 55% and 26% to 30%,” said Ms Tholon. In another particularly high profile project developed with STTC support, LCB made seven videos featuring comment from architects, developers, timber suppliers and other stakeholders under the headline “I believe in certified tropical timber”. “These have been particularly successful and widely viewed,” said Ms Tholon. Meanwhile, the goal of LCB’s conferences for architectural and vocational schools, she concluded, was to take the core messages on using verified sustainable tropical timber to specifiers and buyers of the future.